Pro Plan FREE for a year. Enjoy! 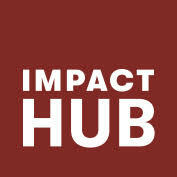 Impact Hubs provide the spaces, resources, connections, knowledge, talent, markets, and investment that turn intention into impact. In every community we work with, wherever we are, we commit to awakening the imaginations, livelihoods, and economies of our surroundings–enabling collaborative action towards sustainable impact. Invoice Ninja supports your community growing their projects by offering our Pro Plan for one year FREE! Get Your Free Year Now!